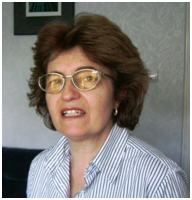 Professor Adriana Vizental of “Aurel Vlaicu” University of Arad, Romania, holds a doctorate in linguistics from “Babes-Bolyai” University of Cluj-Napoca, Romania (2002). She is specialised in linguistics and education, her main areas of interest being the pragmatics of advertising and teaching English as a foreign language. Prof. Adriana Vizental has achieved a well deserved academic reputation through her sustained and commendable research activity in the fields of linguistics and foreign language teaching methodology. As member of “Aurel Vlaicu” University’s teaching staff, Prof. Vizental is acknowledged for her keen concern regarding her students’ training and applied research, as well as for fostering academic and intercultural exchanges. 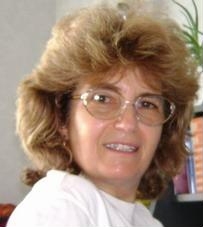 Prof. Adriana Vizental has achieved her well disserved academic reputation through a highly sustained and commendable research / publishing activity in the fields of linguistics and the methodology of teaching foreign languages. As member of AVU`s teaching staff, professor A. Vizental has been also deeply involved in the academic training of students, in affording them access to practical research activities, additionally to coordinating academic symposiums and scientific research within the university. Constantly engaged in raising AVU`s institutional visibility she has always stood at the forefront of inter-institutional and intercultural partnership initiatives. And rightfully so, since communication itself, as both concept and method, is at the core of all her didactic endeavors, successfully striving to make students aware of the intricacies of oral and written means of interaction, to aid them fully understand specific cultural values, to better their translation skills and hence to find the most suitable means of intercultural and inter-confessional dialogue.